Members of the corporation take an active interest in the mission, vision and values of H.O.P.E. 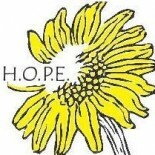 They become potential leaders and Board Members to promote H.O.P.E’s role in the community. Members attend membership meetings, vote for the Board and provide direction for the future development of H.O.P.E. We encourage consumers, family members and other friends of H.O.P.E. to show their support by becoming members. You can vote at membership meetings, like the Annual General Meeting, to help determine the future direction of H.O.P.E. You will receive a copy of the Annual Report, financial statements and minutes of membership meetings. You can be considered for membership on the H.O.P.E. Board of Directors when there are vacancies. You will be notified of all workshops, conferences, new programs and volunteer opportunities. You will receive a copy of all H.O.P.E. newsletters.